Co-signing loans will always be a dangerous transaction. You do not really gain anything and you are setting yourself up to lose a lot. It is actually one of the mistakes that may cost you a good credit history. The idea is, you are acting as a guarantor for someone because the lender deems them unworthy to borrow on their own. If the lender does not trust them with borrowed money, they will be given the option to find someone that can be trusted. Not only that, this cosigner should be willing to take on the burden in case the primary borrower proves to be a bad credit holder. What makes co-signing loans even more dangerous is the non-financial damages that it can cost you. It is bad enough that you are left to pay the debt even if you did not benefit from the money. You also have to live with the ruined relationship between you and the primary borrower. Whether that is a friend or a relative, you cannot treat each other the same way if this debt is hanging over your heads. You may argue that you know the person very well and that you trust them enough to put your financial reputation on the line. Even if you owe that person a debt of gratitude, you should still think twice about making this plunge with them. The statistics are not really favorable when it comes to cosigners. According to an article published on FiveCentNickel.com, 75% of defaulted co-signed loans are paid by the co-signer – not the primary borrower. If you really value your relationship with the person asking for help, you need to avoid signing a loan for them. The chances of you being ruined is too great for you to risk it. If you ask experts, most of them will frown at the idea of co-signing loans. In fact, an article from USNews.com simply states that when you are asked to act as a guarantor, don’t do it. There are just so many things that can go wrong and can be compromised. But just in case you find it in your heart that you want to help, you should not plunge immediately to sign the loan. There are 4 important things that you need to know before you proceed. The risk you will take. Start by enumerating the risk that you are taking. First of all, you are equally responsible for that loan. In the event the primary borrower cannot pay off the loan (whether intentionally or because of unforeseen circumstances), you need to pay them off yourself. There are also lenders that will not notify you if the primary borrower failed to meet their payments. You will only know about it when it is too late. The loan is already in default and your credit score is already suffering from it. Make sure that you are aware of all these consequences and the risks that you will be taking on. Another thing that you need to know before you decide on co-signing loans will involve the payment terms. Make sure you sit down and discuss the terms of the loan. Ensure that the primary borrower has a payment plan in place and they have the resources that will allow them to repay what they are borrowing. If they cannot explain to you how they plan to pay the loan, do not proceed. Not only that, you have to ask them to put everything in writing. Document your agreement so it is clear that they will pay the loan and it will be done in such a way that you have both discussed. The options to protect your finances. The next must-know involves your protection. Discuss with the primary borrower your plans to protect your interests in co-signing the loan. 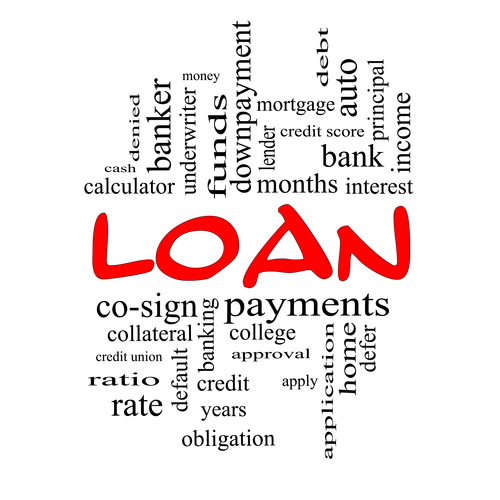 For instance, if they will borrow a big amount, get a hold of a collateral that can cover the payment of that loan. Sign an agreement that will give you the authority to sell that collateral in the event that the primary borrower is unable to pay back the loan. If you will co-sign a business loan, ask them to give you shares of the company – or to make you a co-owner until they have paid back the loan. The ways you can get out of the co-signed loan. The last thing that you should find out is how you can get out of your co-signed loan. This actually depends on the type of loan that you borrowed and who you borrowed it from. One of the popular methods to remove yourself from a co-signed loan is by refinancing the loan. Once the primary borrower is able to build up their credit score that will allow them to borrow on their own, they should refinance it to change the accountability for the borrowed money. Take note of these 4 and make sure you know about them before you agree to co-signing loans for anyone. If you do not have these information, then just say no. Sometimes, saying no can save you from a financial crisis. Think about that before you try and help anyone financially. While the general rule is to say no when someone asks you to co-sign a loan for them, there are times when you can actually say yes. This is still a case to case basis of course. Here are the situations wherein it is okay or not okay to say yes to become a guarantor for someone. If it will help your child get a student loan. We want what is best for our children. If that means helping them get the finances to help them study, then that is what we should do. According to the CFPB or Consumer Financial Protection Bureau, 90% of private student loans in 2011 were co-signed. The data was published through ConsumerFinance.gov and revealed that a lot of these co-signers are complaining that it is hard to get out of their co-signed loan. So in case you will push through with this, make sure that it is clear with your child that they should pay off the loan themselves. Guide them so they will practice smart spending habits. If it will help someone you are financially responsible for build their credit record. Ideally, this is only applicable to your children. After all, you are financially responsible for them. Helping them build a good credit record is something that you can do. At least, you can help them borrow a small amount and guide them in paying it off properly. If it will help someone with a bad credit record but has a collateral they are not willing to give to a bank. If the person you will help has a collateral that can help cover the loan you are co-signing for, then it may be okay to help them out. Of course, you need to ensure that you will have the authority to sell that collateral to help pay for the debt in case the primary borrower bails out on the loan. Make everything legal. If it is for someone who has an existing bad credit report. This is true even if it is for someone very close to you like a friend or a relative. Of course, this depends on the reason why the borrower has a bad credit report. If it is because of their financial habits, then you should never agree to co-sign on a loan with them. They are high risk borrowers – do not risk your financial position for them. But if they have a bad credit score because of identity theft, then you may reconsider. If it involves a big amount or a high interest loan. If you know that you cannot save afford to pay for it yourself, then do not say yes to co-signing loans. Unless you are sure that you can pay it off in case the borrower cannot, then you need to just say no. While there are smart ways to co-sign a loan, you need to consider other options to help out. If you can guide them to build their credit report in the first place, you probably do not have to co-sign for them. Think about these options first.